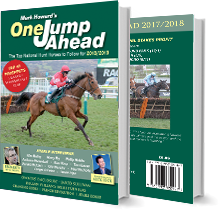 As many readers will be aware, I have written the successful National Hunt horses to follow book One Jump Ahead since 1993, whilst the Flat racing equivalent Ahead on the Flat appeared in 1998. 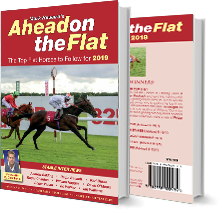 While there are a number of similar publications on the market, both One Jump Ahead and Ahead on the Flat have tried to be unique in that the ‘obvious’ horses are conspicuous by their absence. It has always been my aim to highlight horses to follow which have still to realise their full potential, under both codes.